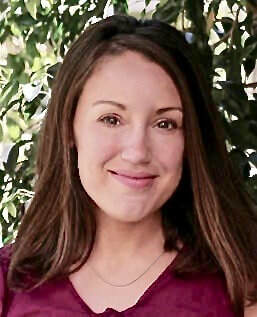 Laura (Lily) Jaser - Heart in Balance Counseling Center: Holistic Therapy Integrating Body, Mind and Spirit. Lily comes to the profession of psychotherapy as an extension of her 10+ years of work within the Alternative Health and Wellness field. She realized that as she worked in this community that there was more to uncover, to understand and by becoming a therapist she would expand her capacity to help clients heal. As a therapist Lily brings the qualities of wisdom, authenticity, empathy, warmth, curiosity and a deep commitment to creating a therapeutic plan based on her client’s individual needs, not on only one particular approach or way of working. Lily’s therapeutic approach is to first establish safety. She believes that often the pain and struggles client bring to sessions are created within relationships and can be best healed in relationship. Trusting the therapist and believing that one is accurately seen can lead to deeper explorations that can assist the client to move forward and make the changes the client desires. Assertiveness and areas of loss of empowerment in one’s life. Lily holds a Masters in Business and a Masters in Holistic Counseling, Somatic Specialization. She is a Reiki practitioner and Yoga Instructor. She is a Registered Marriage Family Therapist Associate. She incorporates all of her extensive knowledge and education into her deep work with clients.